Did you know that ice cream first appeared in America in the 1700s? 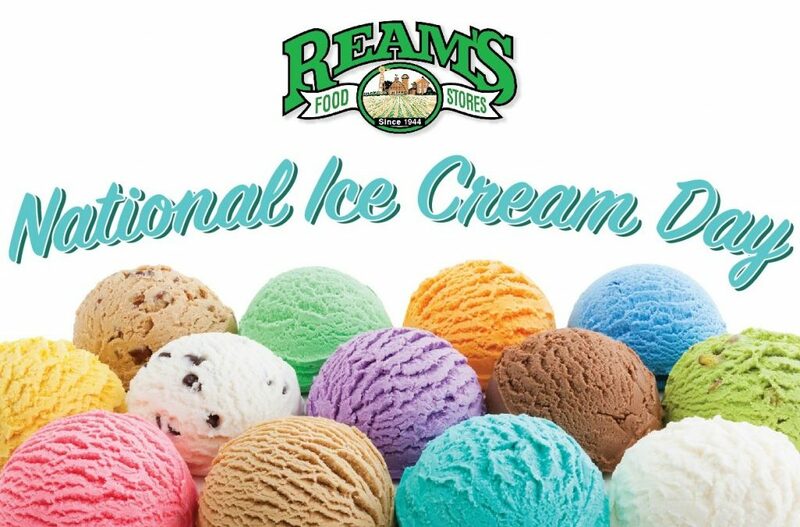 Or that President Reagan declared July to be ‘National Ice Cream Month’ back in 1984? Well it’s July now, and we’re celebrating Ice Cream Month, so brush up on your ice cream awareness and get ready to scoop in the scrumptiousness! July 15th is National Ice Cream Day. Now, we know what you’re thinking – you’re thinking “what day isn’t ice cream day! ?” We couldn’t agree more. If you’re like us, then you don’t require much convincing in order to indulge in the world’s greatest frozen treat. The official ice cream holiday only comes around once per year, though. Take advantage of it – before it disappears quicker than three pints of burnt almond fudge after a breakup. Afterall, when stuffing your face it is much easier to get away with “It’s National Ice Cream Day” than the old “Uh… we needed space in the freezer” excuse. Ream’s Food Stores will make it even easier for you. We have delicious Ice Cream Day deals like 48 oz Assorted Breyers® Ice Cream for only $2.99 (July 10-16)! At this price you can afford to grab everyone’s favorite flavors and revel in creamy goodness together! There’s nothing wrong with eating ice cream straight from the container. But if you’re looking for some out-of-the-carton ice cream ideas, then we’ve got some great recipes for you! 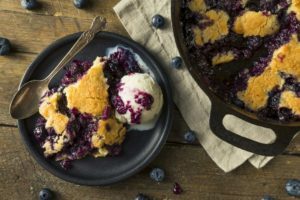 Cobbler is a favorite Utah dish that pairs exquisitely with ice cream. When hot cobbler meets cold ice cream magic happens! Then, follow these instructions to berry-cobbler bliss! The banana split is timeless – there’s just no way to improve perfection. It’s also versatile. 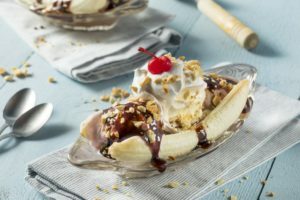 Most of us love everything about a banana split, but if there’s an ingredient you don’t care for then switch it out for one of your favorites! The classic banana split is like a blank canvas upon which to paint your own personal culinary masterpiece! Then, create the classic splitor switch things up and create your ideal banana split! Enjoy National Ice Cream Day! Happy National Ice Cream Day, everyone! No matter what delicacies you have planned, Ream’s Food Stores are here to help you make them a reality. Come visit us today.